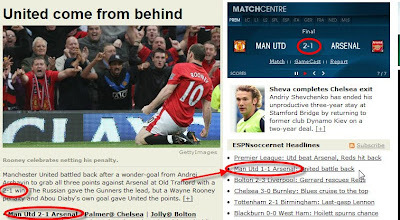 It's interesting to spot mistake like this, just like what I spotted previously on blogger.com. Hmmm... The author could be someone anti MU or Arsenal fan.